Amish Country - Ohio. Find It Here. It isn’t easy to choose a favorite memory from Ohio’s Amish Country. Maybe it’s taking a photograph of horses and buggies tethered in a row at a farm auction. It could be choosing a blackberry or rhubarb pie, still warm from the oven at one of the area’s family-owned bakeries. Perhaps it’s talking with an Amish woman about the unique quilt she can design for you. The most memorable experiences in Amish Country are not loud, flashy or terribly expensive. They are honest and real and will make you appreciate the “plain and simple” way of life. Just staying at an inn or bed & breakfast, where you can sit outside in the evening and listen to the tranquil clip-clop of horses going down the road, puts life into perspective and provides a relaxation that is hard to describe. 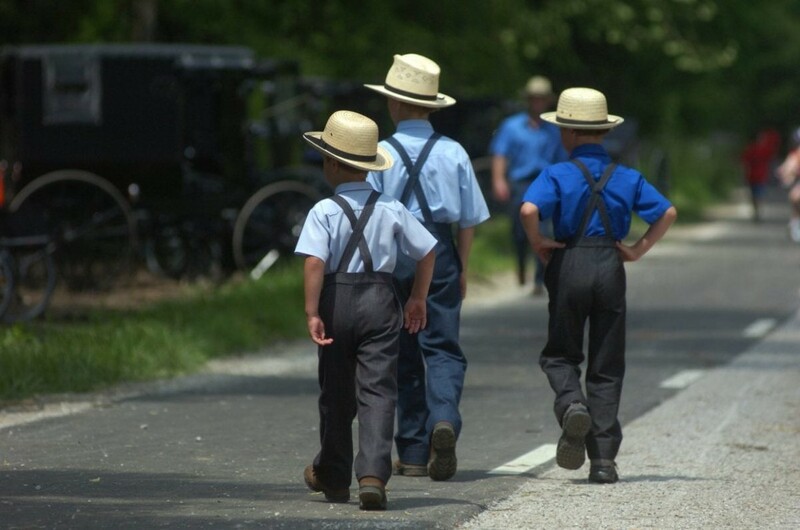 Ohio has a wealth of Amish communities throughout the state. Geauga, Adams, Hardin, Holmes, Tuscarawas and Wayne counties in northeastern Ohio each have notable Amish populations. And each area offers a few distinct characteristics, so visiting one community truly does not encapsulate the entire Ohio Amish Country experience. Be sure to check out a cheese house or two (many offer free tastes), where you might see Amish farmers hauling in milk from their farms in metal containers in the back of their horse-drawn buggy and wagon. On auction days, those same wagons may haul calves or other livestock to sell.